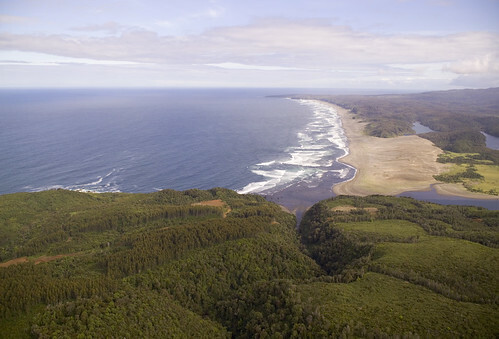 The Valdivian Coastal Reserve (VCR) is part of an ancient temperate rainforest rising from Chile’s southern coastline. With more than half of the world’s temperate rainforests gone, the 50,251 hectare (124,173 acre) VCR is one of the largest of these areas remaining on Earth. Biological treasures in the Reserve include Olivillo trees, living up to 400 years, and Alerce trees, with a lifespan of more than 3,000 years. Wildlife includes: one of the world’s largest woodpeckers; one of the world’s smallest deer called the pudú; at least 58 bird species; and several rare carnivores, such as the southern river otter. The Conservancy has been working closely with neighboring fishing villages and indigenous communities to maintain traditional land uses and to encourage compatible local economic development.